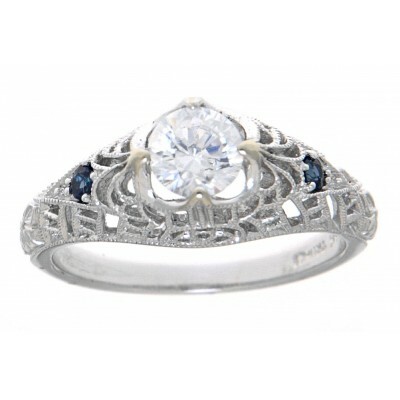 This Victorian Style filigree ring is handcrafted and finished in intricate 14kt White Gold detail. 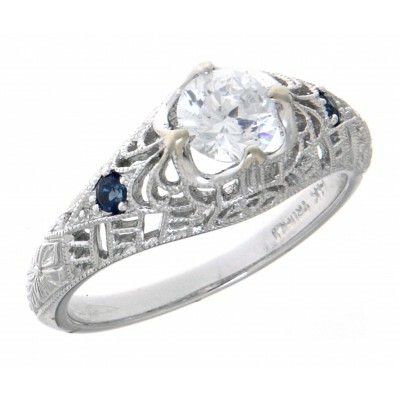 The cubic zirconia gem is flanked by two small genuine blue sapphires. 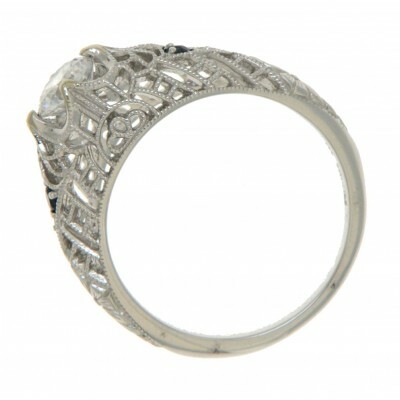 Filigree rings are timeless in style and can be enjoyed, cherished and handed down as precious family heirlooms.